Which States are Most Strict or Lenient on Speeding? While I’d never recommend that you should break the law, the reality is that most people exceed the speed limit on the highway. And if you drive a high performance sports car, the likelihood of getting a bit carried away on the road increases substantially. Should you find yourself going too fast, there are definitely some places in the U.S. that are far worse than others when it comes to punishing speeders. The guys at WalletHub assembled a highly informative set of data on which U.S. states are most strict and most lenient in terms of speeding and reckless driving laws. For instance, drivers in Illinois (one of the strictest states) are subject to an automatic reckless driving penalty, a minimum $2500 fine, and a 3-month suspension for going 30 mph over the speed limit. Plus, the 7 points you rack up will send your car insurance payment through the roof. At the other extreme, you can go that fast in Texas, and likely walk away with a $200 ticket and no insurance consequences. 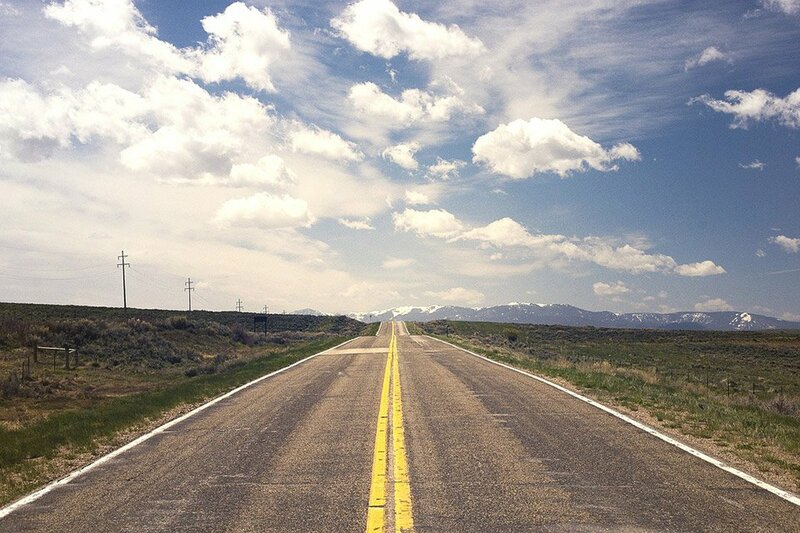 Alabama, Arkansas, Colorado, Delaware, Kansas, Massachusetts, New Mexico, North Carolina, Oklahoma and West Virginia all require at least some jail time for reckless driving, which in some cases is for going as little as 15 mph over the limit. Yikes. Overall, the five strictest states are Delaware, Colorado, Arizona, New Mexico, and California, while the five most lenient states are Nebraska, New Jersey, Oklahoma, Mississippi, and Texas. 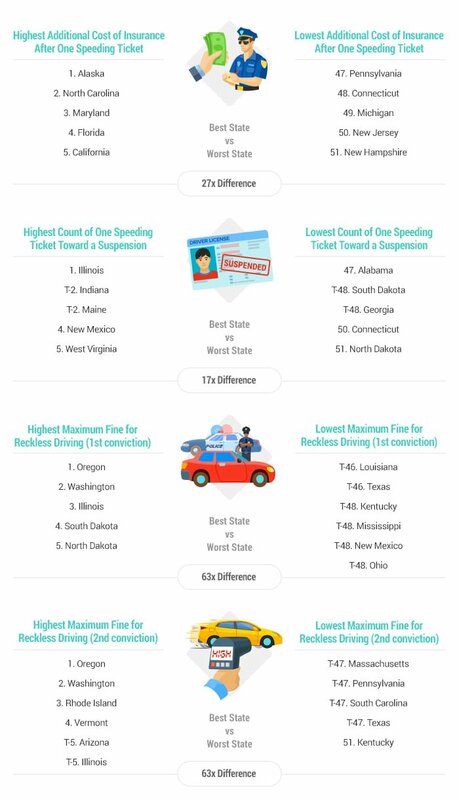 The Chart below offers a graphical overview of the states with the least and most consequences for traffic scofflaws. Darker colors are more strict. (Mouseover for rankings). You’ll want to head over to WalletHub for the full detail for every state, as well as their methodology for ranking them.